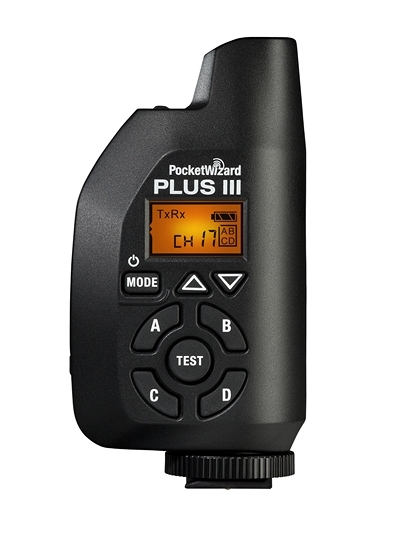 The PocketWizard Plus III wireless remote trigger has been officially unveiled and reviewed. 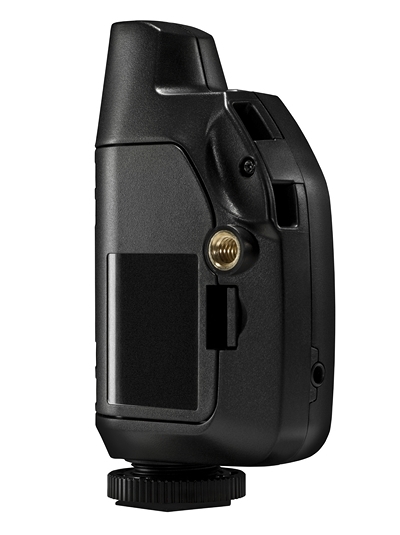 The new model will be cheaper ($139 each), have more channels and several new features over the PocketWizard Plus II. A month and a half after accidentally leaking the PocketWizard Plus III wireless remote trigger, the device has been officially unveiled and reviewed. 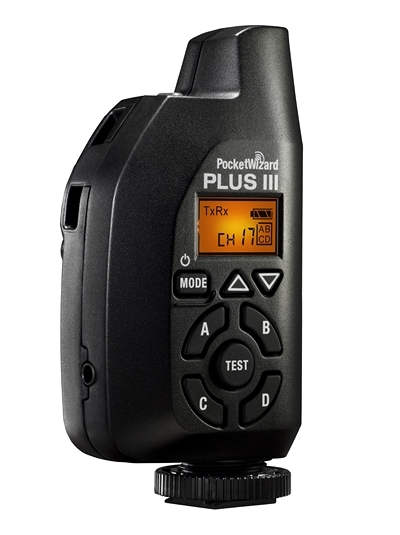 The new model will be cheaper (by about US$30), have longer range and several new features over the PocketWizard Plus II. 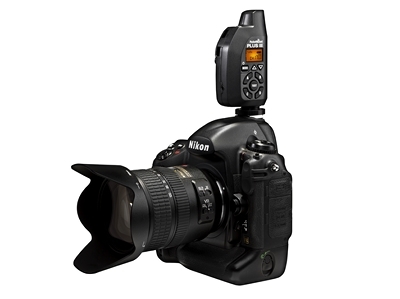 The company says it is an “easy-to-use, feature-packed radio trigger, ideal for any serious photographer”. “Selective Quad-Zone Triggering” – a fancy name for wireless flash grouping, bringing the effective number of channels from four to 32. Four groups or “zones”: A, B, C and D.
Two-stage test button allows you to wake-up/autofocus remote cameras before tripping the shutter. PocketWizard are one of the last manufacturers to implement this feature, which is now standard in most other triggers on the market. One of the strangest features of the new PocketWizard Plus III is the way it sits on the camera. Rather than having the control panel on the back or on top – facing the photographer – it is on the left hand side. It’s not clear why the designers made this decision. 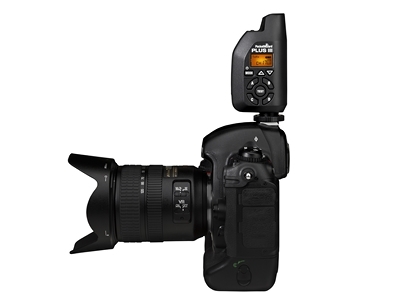 The PocketWizard Plus III is slated as “shipping soon”, expected to be available by 15th March. Pre-order now from B&H for US$139 per transceiver.